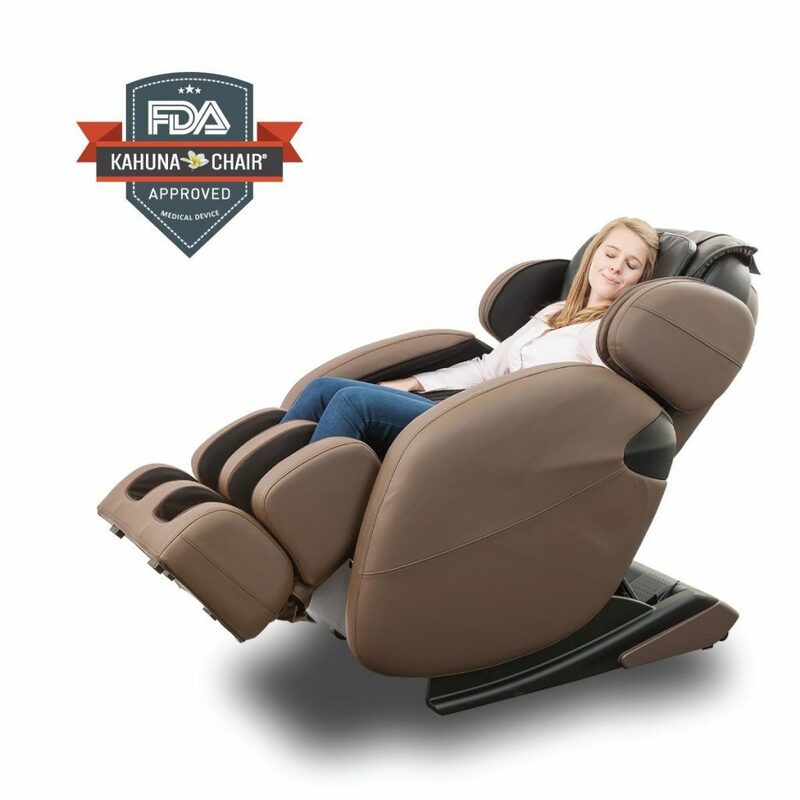 The Kahuna Massage Chair has been declared as a medical device by the FDA for full body massage as well as to cure medical problems related to muscles and joints all over the body. It is built with precise care both in design and functionality to fit anyone in it. The Kahuna Massage Chair LM6800 Recliner with Heating Therapy comes in $1899 with free shipping. The shipping includes delivery to the house, unpacking and installation too. The delivery personnel is trained to teach you the functions and give a brief tour of the guide of the massage chair. The weight of the massage chair is relatively very compatible to the dimensions. The chair is around 200 pounds in weight and is very big in size too. For such a huge massage chair, it could be lifted easily by two skinny people or one bulky person around the house. The features provided in the functions are quite impressive. Yoga stretch function is the key attraction for anyone looking for a full body massage on a daily basis. The massage chair is loaded with air bags in shoulders, arms, waist and hips in two zero gravity positions. This helps the chair to provide both collective and individual power massages in all points of the body accurately. The zero gravity feature is so powerful that the person resting actually feels weightless and this is the first and most crucial step towards relieving the back and neck stress. The recliner stretches to 180 degrees and bends till the legs are at a higher altitude than the heart. At this point the massage functions work the best and give therapeutic effects immediately. Complete body scanner is inbuilt in the chair which lets the chair scan each person’s body and identify the massage spots accordingly. The airbags are programmed to inflate both collectively and individually to cause the body to deep stretch and twist. Heat function adds on to massage experience and helps soothe the sore muscles especially on the waist and back. The chair has more functions than advertised. This works as an advantage in giving an element of surprise to the users. But, at times when people were not told about the functions or were nor aware of them due to the lack of advertising details, they got confused on how to use those features. The most complained thing about this chair is a actually not a thing to be worried about. Many users reported heavy noise at times in the chair during the massages which could have been a fault in the chair or a fault in the way of usage either. However, if you are not much concerned about the noise at times, there is yet another thing that might affect your positive vibes for this massage chair and that is the area of vibration in the room when the chair is functional. Usually people prefer keeping their massage chairs in the bedroom and the ones who used this chair reported it to be highly shaking and disturbing the ones sitting nearby on the bed. The shipping is free which saves a lot of money and tension of choosing the delivery types. But, when it comes to repairs and replacement of parts, the user has to ship back the chair at own cost which is around $300. Also the ones, who got a faulty chair to the limits of making the chair dysfunctional, had to lose a subtle amount of money in the refunds. The refund takes up almost 20% of the chair cost away. The chair at the amount of money spent gives more than expected. It is certified as a medical device by the FDA. So, people with serious back, neck or leg muscle problems can reach out to this product to cure things right at home and also enjoy the pleasure of massages. The accuracy of the massage and body scanning functions make every point accessible for people with all heights and weights. The growing popularity of the product is inspiring the manufacturers to put on new updates on this product more often. Even though the chair is heavy and might make noise at times, the overall experience just overcomes everything else that may be negative. If you want to go for a daily massage on a long term, this massage chair is perfect for you.